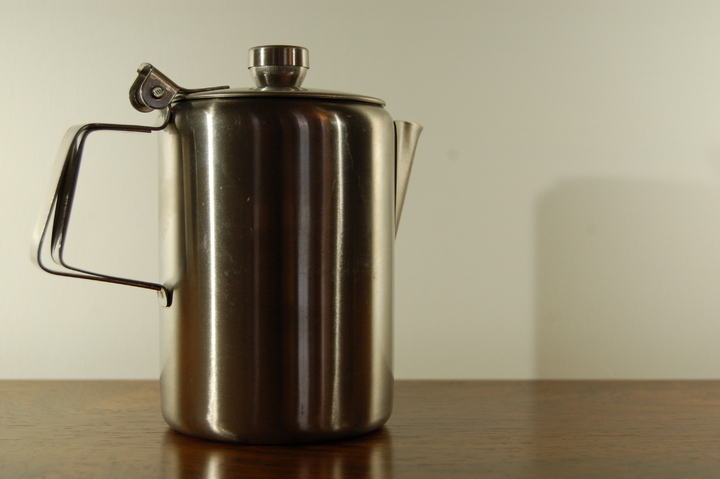 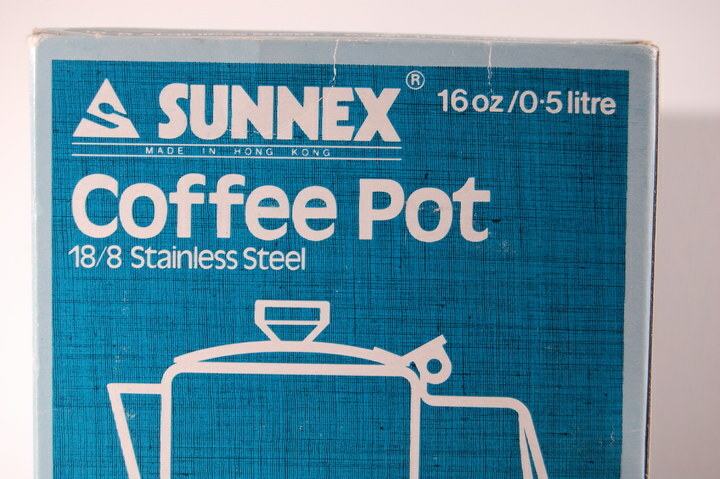 Sunnex coffee pot, 16oz / 0.5litre (2 cups) in original box. 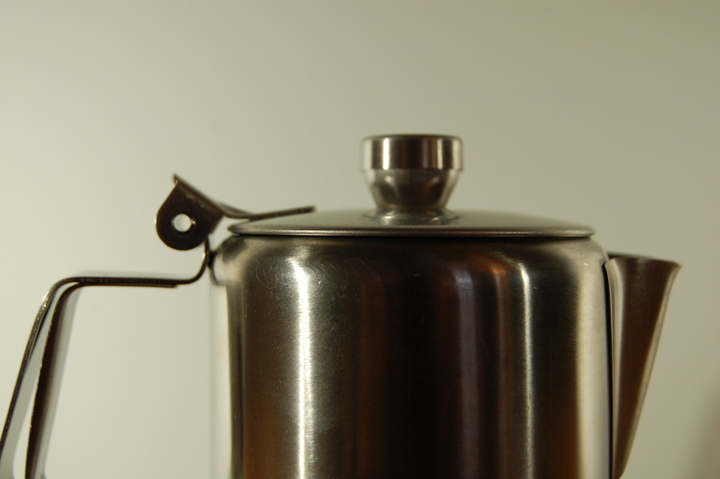 Flip hinged lid and easy pour snout, built-in strainer and vent hole in lid, stay cool double handle. 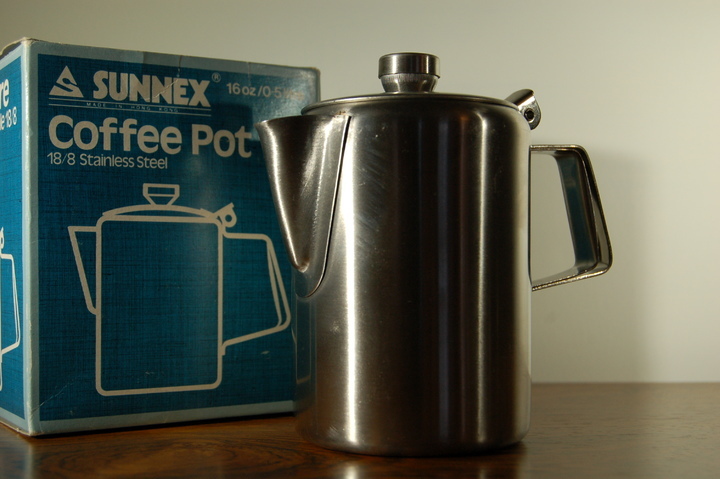 Unused, in excellent condition. 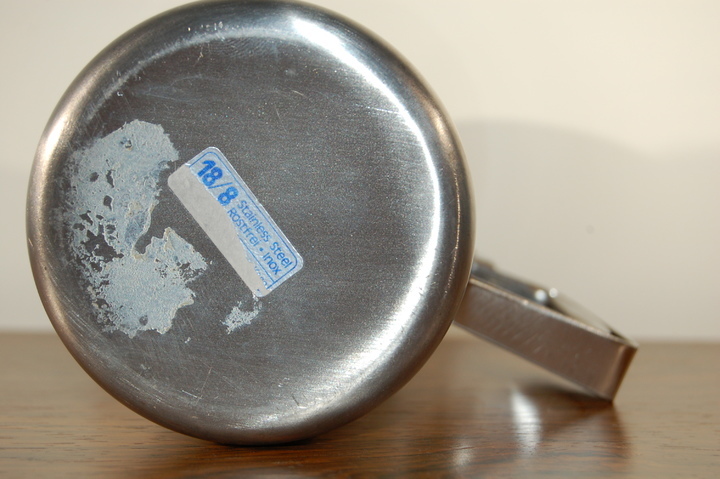 Made in Hong Kong - 18/8 Stainless Steel sticker to base.